Yesterday, one of those days when unsure what season we were in, so it took longer on choosing my clothes for the day. It was a day for layers. I had planned to collect my old young friend Janet, for a bit of adventure. I can see where she lives from my kitchen window. 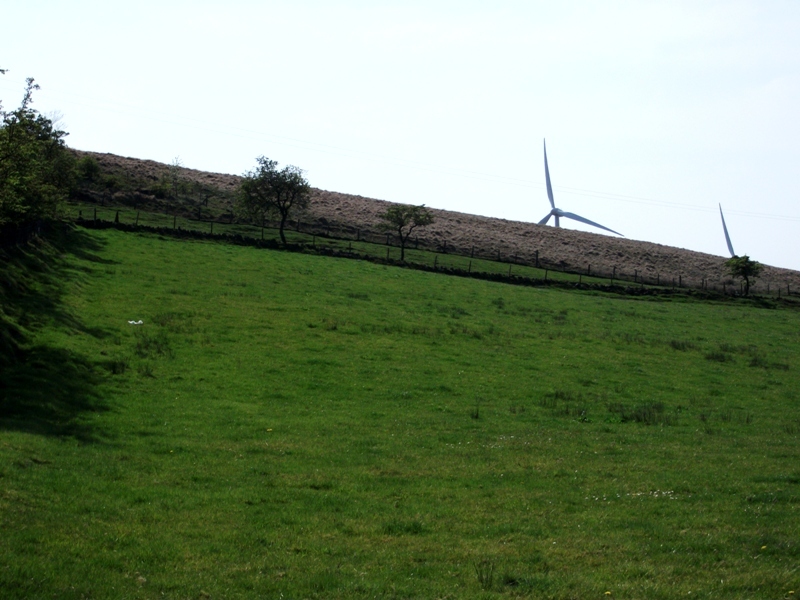 She lives on top of that bump to the right of the wind turbines. The idea was to exercise our legs…. and our tongues with the odd bit of chatter. Did I say the odd bit of chatter? I am not sure I gave Janet a chance to say more than a half dozen words. Next time, I will bring a band-aid to help keep my trap shut. 😉 I promise! I was the driver for the duration, so as chief navigator, I allowed Janet to choose direction and the destination for our coffee spot. Our rain jackets travelled comfortably on the back seat. She chose the Creative Gardens Galgorm Castle, Ballymena, County Antrim. It opened in February this year, so a first time visit for me. They have a Garden centre, Seasonal Shop and the now obligatory Coffee shop. This display caught my eye as we were wandering about. The plants are not just sitting on the chair. Oh no. The side view gives you an idea of how it works. The original seat is long gone and a sacking type fabric is stapled to the inside of the seat space, slightly sagging, growing medium added and then the plants inserted. 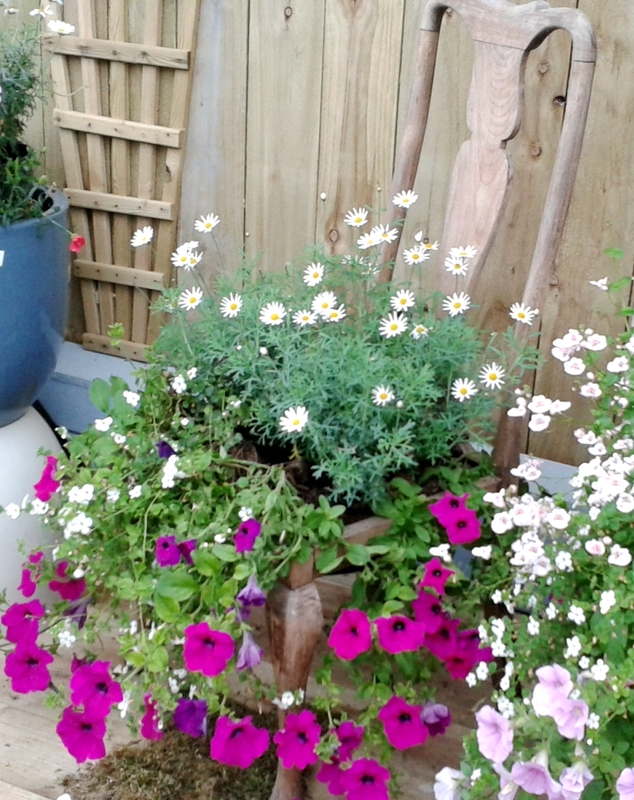 If you look very carefully you can actually see the petunia plugs, lifted out of the compost by the weight of the blooms. It did rain:- when we were in the car or sipping coffee. Neither of us were in a hurry home. 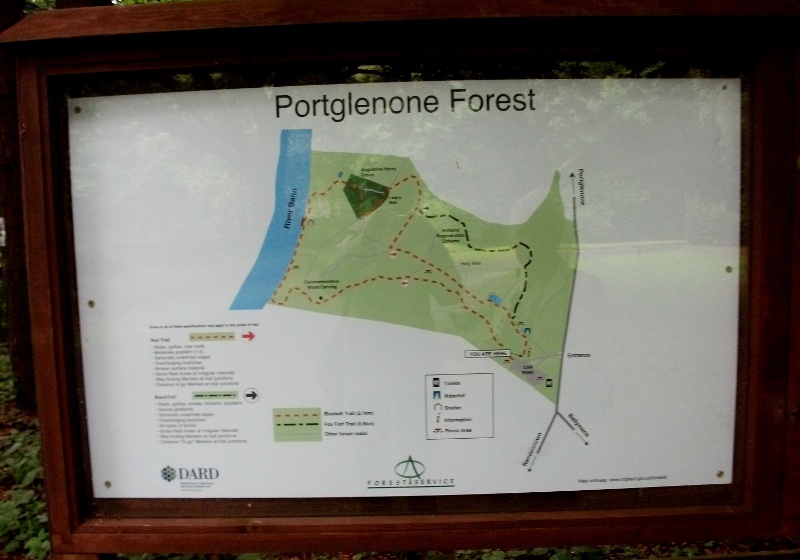 Janet suggested a walk in Portglenone Forest Park. I was game for anything. It was very overcast as we arrived in the car park. “Do you think it will rain?” asked Janet. We took the Red route. Portglenone, in Irish: Port Chluain Eoghain, means “The Fort of Eoghan’s meadow”. We local yokels might tease and call it Port-glen-one, but the correct pronunciation is more like Port-glen-own. Portglenone Forest Park, lies 8.5 miles (14 km) west of Ballymena. It is classified as an ‘Ancient Woodland’, and has well marked nature trails, with the River Bann flowing through the forest. Records show that the forest was once part of a much larger woodland comprising Mountreivelen, Killetra, and Glenconkeyne Woods. The ground flora contains extensive colonies of species such as bluebell, wood anemone, and wild garlic. We would need to go back in late April or early May to enjoy those beauties. These plants take centuries of woodland cover to establish, and provide the wood with its important conservation and educational aspects. Augustine Henry (1857–1930) was an Irish plantsman and sinologist. He began work as a medical officer and customs assistant to the Chinese customs service in 1881. He was an ardent reader of botanical literature and collected 15,000 dry specimens and 500 live plant samples of flora for Kew botanical gardens. From his specimens 25 new genera and 500 new species were identified. In 1913 he was appointed the first Professor of Forestry at the Royal College of Science (now University College Dublin), serving until he retired in 1926. He was involved in developing the national Forestry Service and in evaluating foreign conifer species. These included Sitka Spruce and Lodgepole pine. In 1935, J. W. Besant was to write: ‘The wealth of beautiful trees and flowering shrubs which adorn gardens in all temperate parts of the world today is due in a great measure to the pioneer work of the late Professor Henry’. I have another Janet surprise, but that is for tomorrow! 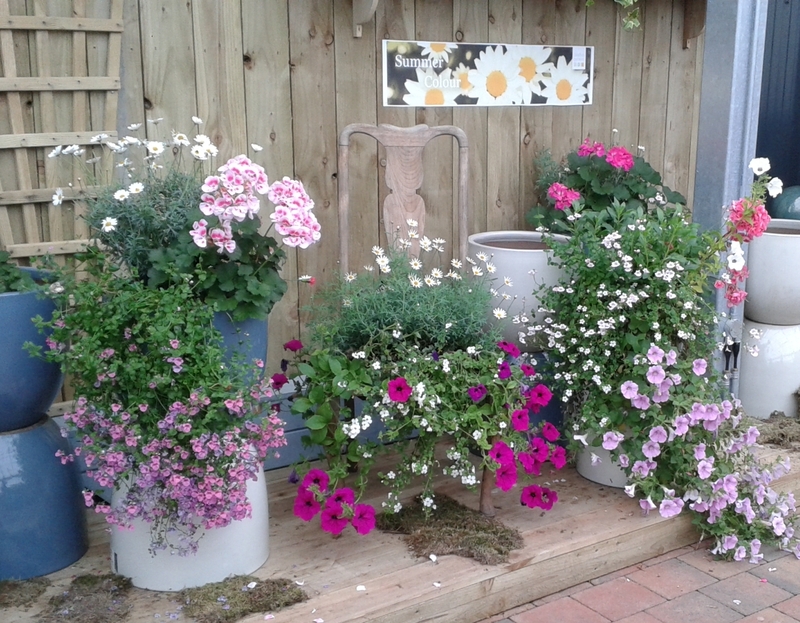 This entry was posted in Friends, Fun, Ireland, Photography, Travel and tagged adventure, Augustine Henry, coffee, Creative Gardens Galgorm Castle, Flower arrangements, Friends, Fun, John Davys, Kew botanical gardens, Portglenone Forest Park, River Bann, University College Dublin on August 12, 2014 by Grannymar.